Source: Wells, H.G. (1897). . London, England; Pearsons Magazine. Wells, H.G.. The Invisible Man. Lit2Go Edition. 1897. Web. 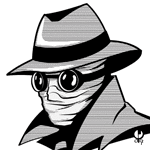 <https://etc.usf.edu/lit2go/120/the-invisible-man/>. April 24, 2019. H.G. Wells, The Invisible Man, Li2Go edition, (1897), accessed April 24, 2019, https://etc.usf.edu/lit2go/120/the-invisible-man/.